The New York podiatrists at The Center for Podiatric Care & Sports Medicine get a lot of questions concerning bruises. How long does it take for one to heal? Is a foot or ankle bruise something to really worry about? What can a doctor do to treat a bruise? We can answer all your questions at our Manhattan or Westchester offices, as each case is unique. For now, here are a few general points to consider with regard to your “black-and-blue” blues. Does it seem like your foot or ankle bruise is getting worse? We’ll let you know five possible reasons why. A bruise occurs when small blood vessels beneath the skin tear or rupture, causing blood to leak out into the surrounding tissues. Usually they are caused by a hit, a bump, a fall, or blunt force trauma. How Long Does It Take for Typical Bruises to Heal? Usually, a bruise heals within two to four weeks. Within two days, your blood’s hemoglobin (an iron-containing substance that carries oxygen) changes, turning the spot purple or black. After five to 10 days, the bruise may turn green or yellow. Finally after a couple weeks, it fades to a yellow-brown. Bruises on the foot, ankle, and legs take longer to heal than contusions on the face or arms. What Are a Few Home Remedies? If you want to be proactive and take steps to heal your bruise at home, you can apply an ice pack and elevate the region to relieve pain and swelling. Tylenol can help for pain, whereas Advil or Motrin will help reduce the swelling. 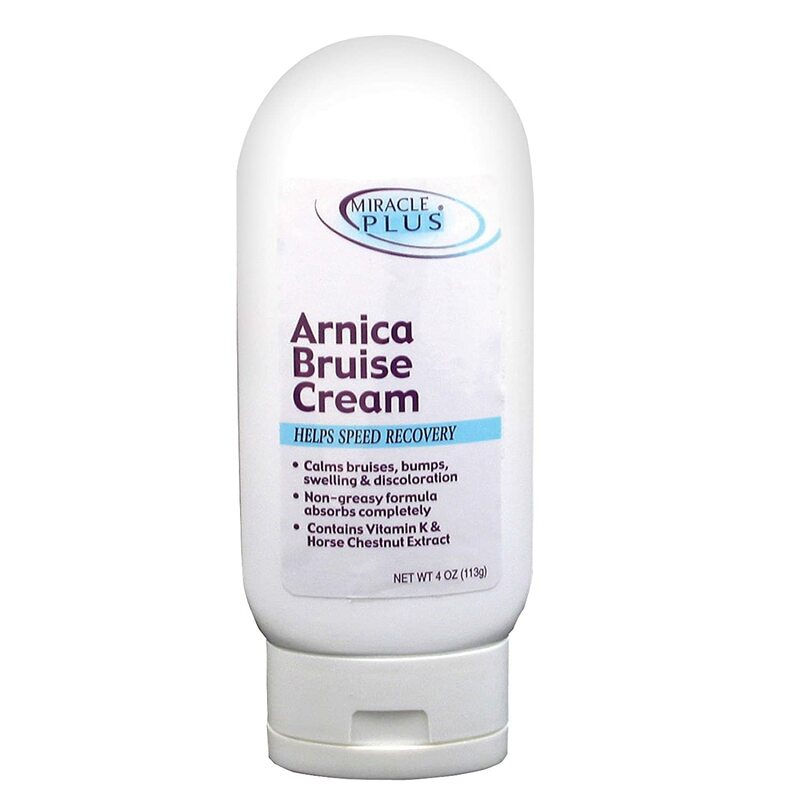 Massaging in Arnica bruise cream can improve circulation, reduce redness, and diminish pain as well. Homeopathic Arnica cream can reduce bruising and swelling. What Happens When My Bruise Doesn’t Go Away or Worsens? 1. It’s a bone break or sprain. If you notice a small bruise that grows into a large cluster of purple and black bruises, along with severe inflammation, within 30 minutes of sustaining an injury, then it’s likely sprained or broken. It is important to see a professional in case you need wraps, casting, or a walking boot to offload the pressure and enable proper healing. 2. It’s really just getting better. After a few days or a week, bruises often seem to “spread.” Typically, when swelling goes down at the point of impact, the blood has more room to spread out. The bruise expansion will naturally follow gravity. Some people have even reported an upper leg bruise streaking all the way down toward the ankle. 3. A hematoma has formed. A particularly large collection of blood formed beneath the skin or in the muscle may cause the body to wall off the blood to contain the injury in what is called a “hematoma.” This pool of blood sometimes requires draining from a healthcare professional. We can do that right here at our Manhattan and Westchester podiatric offices. You definitely want to get hematomas treated to reduce your risk for infection. 4. You’ve bruised your bone. Deep muscle and bone contusions can be just as painful as fractures. 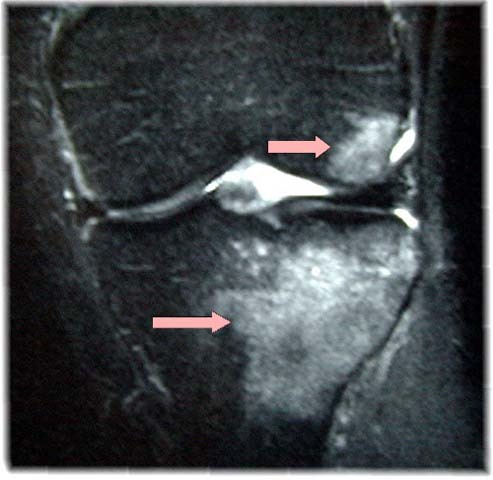 In fact, we consider this injury to be a microfracture. Unlike typical bruises that are gone within a month, a bone bruise can persist for a full year! The spongy irregular mesh of the inner bone makes for a difficult and lengthy healing process. Possible complications of bone bruises include: compartment syndrome (where pressure from fluids disrupts blood flow and prevents the muscles from receiving nourishment) or myositis ossificans (where the bruised muscle grows bone, rather than muscle cells). 5. You re-injured the initial bruise. Sustaining repeated blows to the same area will worsen the sub-dermal bleeding. Some people need to be more careful because they bruise more easily than others. The thin skin, loss of fat padding, and lifelong sun exposure of older adults causes them to break blood vessels more easily. Women and certain family lines also carry hereditary differences that may make them more susceptible to bruising. A bone bruise can show up on x-rays and MRIs. In New York and Worried about a Bruise? The Center for Podiatric Care & Sports Medicine specializes in foot and ankle injuries great and small. Even if you just have a little bruise you are concerned about, we are here for you. At the very least, you will leave with peace of mind, additional information, and a good feeling from seeing our smiling faces! If you require advanced care, we offer everything from stem cell injections to surgical procedures. Book your appointment in Manhattan or Westchester online.